AMD has announced the latest additions to the AMD Radeon HD 7xxx series of graphics cards, with three new mobile GPU series, the Radeon 7700M, 7800M, and 7900M. 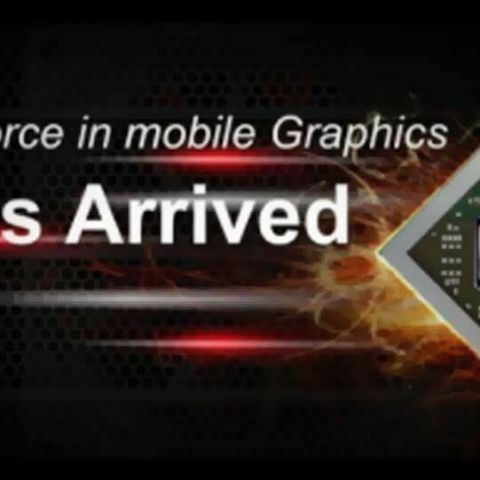 So far, apart from the Radeon HD 7970 in December, AMD has already shown off other Southern Islands GPUs, with what some are calling paper-launches – HD 7750 and HD 7770 in February, the Radeon HD 7870 and HD 7850 in March – as well as three other mobile graphics cards, the Radeon HD 7400M, 7500M, and HD 7600M series, in back in September last year, though these didn’t strictly follow the new Southern Islands architecture. 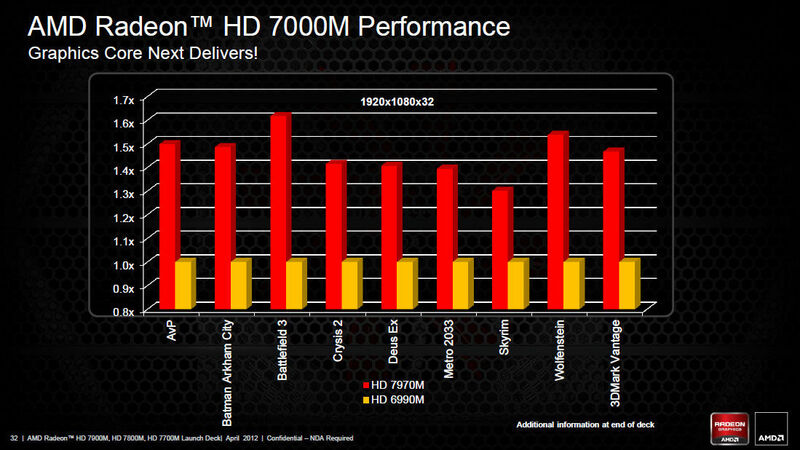 The AMD Radeon 7700M, 7800M, and 7900M however, featuring the company’s new Graphics Core Next architecture. 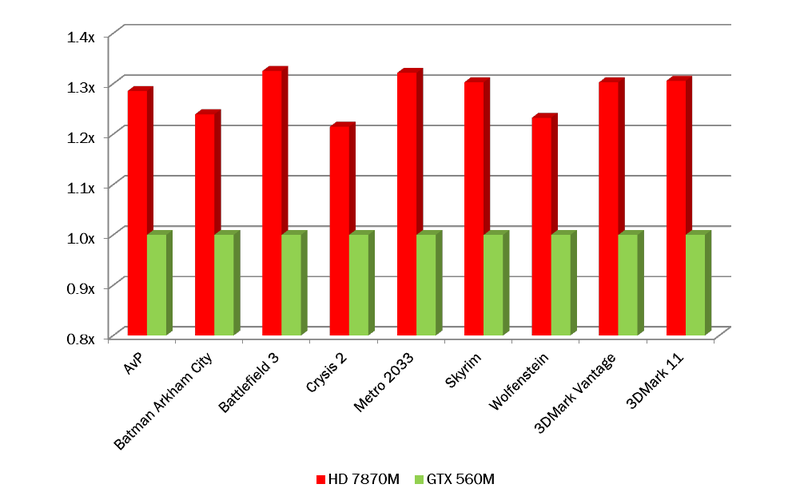 The top-of-the-line mobile GPU, the Radeon HD 7970M, is based on a Pitcairn core, and is best compared with Nvidia’s GeForce GTX 675M offering, while the HD 7870M is best compared to the GTX 560M. AMD has provided its own benchmarks the performance difference below, though of course, they must be taken with a pinch of salt. Two of the three new series introduced, the HD 7800M and HD 7900M, support native PCIe 3.0, based on the Cape Verde die. The HD 7700M series however, has sacrificed the feature – it will probably not be missed anyway, with the bandwidth the card is given (check out specifications below). With the Graphics Core Next architecture making it to AMD’s mobile graphics platform (which brought ZeroCore technology, DX11.1 support, AMD Video Codec Engine, Unified Video Decoder 3.0, Steady Video 2.0, and power gating), the company has added new technologies like AMD App Acceleration (which we’ve seen in many forms before), and AMD Enduro technology. AMD Enduro is the company’s latest attempt at dynamic switchable graphics technology, competing with Nvidia Optimus. PowerTune technology has also been added, first introduced on the HD 6970, which uses a hardware chip to control power consumption and heat, keeping in mind work load and environmental factors, to ensure the GPU doesn’t burn out, or over reach its power consumption.